After 10 years of serving in the Air Force as a Security Policeman, Mr. Cline attended the University of North Dakota. While attending UND he worked in the Pharmacology and Toxicology Department learning advanced genetic, molecular and cellular biology. While attending school Jim started a business doing Computer Repair, Training and Networking. He left UND to take a position as a lead software Engineer developing accounting software. Jim returned to Colorado in 2000 and took a position first as IT lead and then back to software development for Compaq and later a company that developed software for other developers. In 2007, Jim and a partner started OutWest Systems, Inc. a development company that specialized in computer vision and tracking. 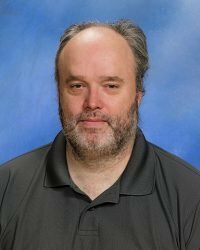 He contracts with AcademyACL to teach an Engineering & Design Encore class for Upper Division students, and volunteers time as a parent to support robotics and other engineering, science, and mathematics events.